When you hear “European engineering competition” what is first thing that pops in your mind? Some serious people with glasses, in white coats, surrounded by wires, cables, sitting behind large monitors? Or 20-something year old students, running through halls of university, carrying piles of materials or cleaning the corridors, laughing and shouting? First Final round of EBEC was organized in 2009 by Local BEST Group Ghent, and today we want you to meet Lucien Romagnoli – founder of EBEC and it’s first coordinator. 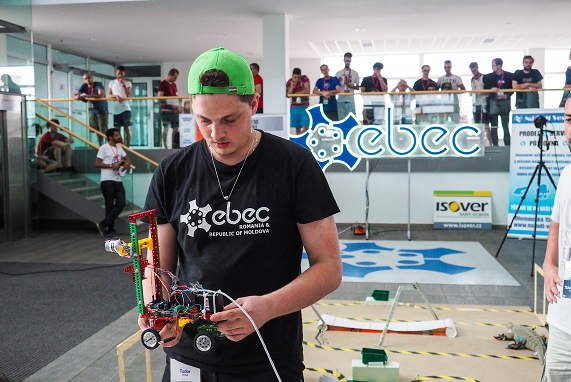 For Lucien, EBEC represents new service for engineering students in BEST universities and it brings more focus to technical aspects of engineering studies. 2009 was the first time all LBGs organised a joint pyramid of events, bringing their winners to the same place after two rounds of competition, which was never done before. This was accomplished with support of United Nations, and it was the first time we used media to build and promote the event. “In 2008, when late night talks about the idea raised, we could have never imagined that a 10th edition would even be possible. Congratulations to all of you” says Romagnoli. While organizing this big event, most important thing he learnt is “Run fast alone, run far together”, and that is exactly what we are doing this ten years. You may say we’re still kids, too young and not serious enough, or that we’re not doing it right maybe. But we are doing it our way. A long time ago, on the soil of Europe in heads of many an idea was born – to organize engineering competition. To help their friends and colleagues from technical faculties develop their skills, and use their wide theoretical knowledge they have in practice, for solving simulations of real engineering problems and to prepare better for their future jobs. From 2003 lots of Local BEST Engineering Competitions was conducted in Europe, and the first regional round was organized in Portugal, followed by Spain, Poland, and Belgium. In 2009 National competitions were brought together, under the name of EBEC, and first Final round took place in Ghent. The rest is history. Initially, there were four different categories of EBEC, but after a couple of years and feedback, Team Design and Case Study were instated as the official categories of the EBEC pyramid. Years and years EBEC Project has continued to grow constantly, and nowadays it gathers more than 6500 students every year. Soon, first NRRs will happen, and in July we’ll meet Europe’s best young engineers in Turin, and until that, local BEST groups are organizing local rounds of competition. This winter, engineers from Aachen, Saint Petersburg, Brussels, Madrid, Copenhagen, Brno, Budapest, designed their future. Winter is here…So are the first Local rounds. 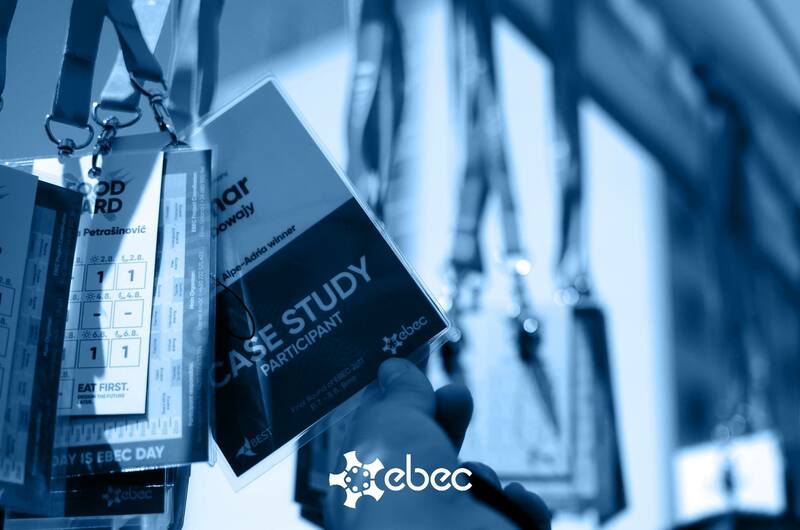 When talking about EBEC, it’s necessary to mention that Local Round of EBEC isn’t always a stand alone event. It can also be a to be part of larger and longer event, frequently called Engineering days or Engineering week. This way, Local round is extended by activities for all interested students, not only for participants, like science and job fairs workshops or company presentations. Extending Local Round of EBEC is an opportunity to get more of a students’ attention and is a good way to more promote the brand of EBEC and work of BEST. Also, companies are interested in taking part in organizing these complementary activities, and getting close to students this way. And on the other side, students participating in these activities are getting to know companies and their interests better. November is very popular time to organize Local round, and young engineers from Milan, Kiev, Prague, Madrid Carlos III, Turin, Barcelona, Brasov, Iasi, Vinnytsia, Moscow, Rome Tor Vergata, Lviv, Bucharest, Leuven, Louvain-la-Neuve and Sofia showed their knowledge and talents during that month. And in December, knowledge of students form Grenoble, Erlangen, Novi Sad, Nis, Skopje, Naples, Rome, Athens, Thessaloniki, Ankara, Ekaterinburg and Cluj-Napoca will be tested, so stay tuned, because EBEC is back, bigger and more exciting than ever before! 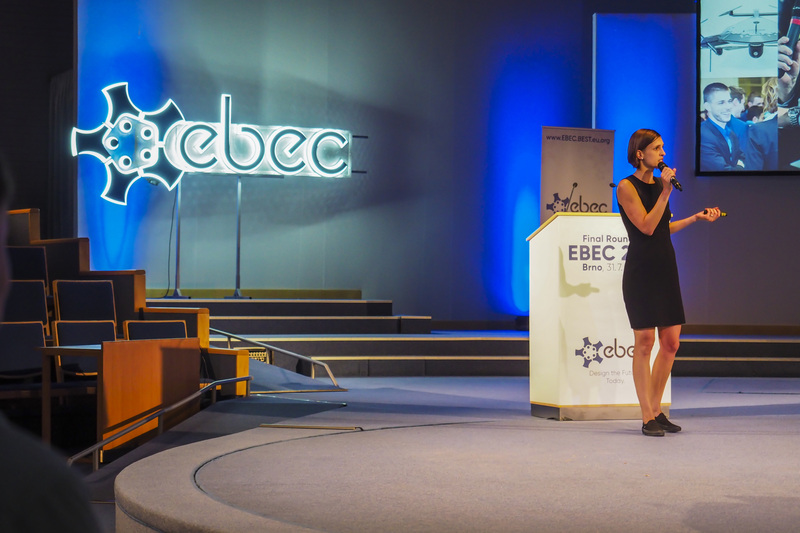 This year, after we accepted the challenge – EBEC is coming back bigger than ever before! Final round of EBEC will be organized in the beautiful city of Turin in August 2019. The story of EBEC started in 2009, with first Final round organized in Ghent. After many years and cities, in Turin we’ll celebrate big jubilee – Tenth edition of EBEC. 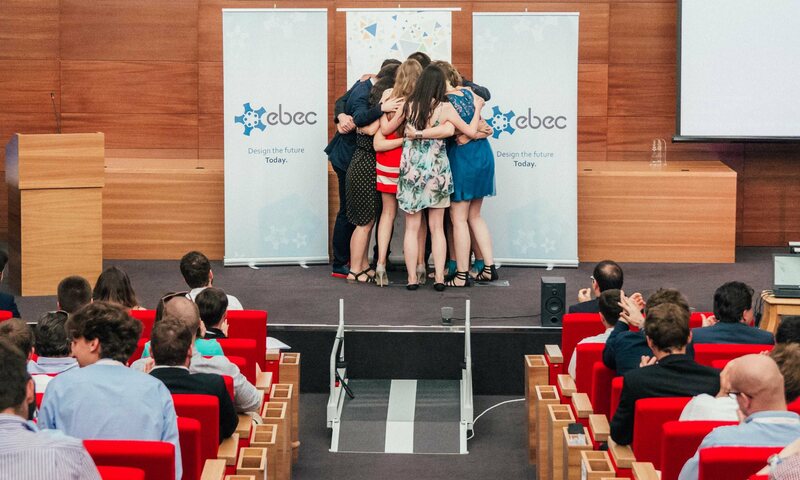 As a result of dedication, never-ending inspiration and hard work of organizers, EBEC has become a tradition in Europe. This project is a true gift from students for students. The best European students will climb to the top of one great pyramid using only their minds. There’s no better place for contestants to improve themselves while testing their knowledge, and skills they have. EBEC is a hymn to engineering and to youth, which motivated so many people to travel, study harder and apply again, or to join BEST and organize next year’s edition. We have reached the final day of the competition! It’s the last opportunity for participants to prove their worth to the task partners, Valeo and Honeywell. It was the second day for the Valeo task for Team Design and participants had to present in front of the jury from the company. The presentations consisted in being able to fit their racks in both hoods of cars with different sizes. They had a few minutes to present their idea and to change between each hood of the car. When the prototype was placed on the hood with the Velodyne LiDAR in it, the jury checked if it was high enough for the hood to not block the laser and also low enough so that it’s resistant to higher speeds. While the presentations were happening in the hall, across from it there were happening the case study presentations. This day, the Case Study task was provided by the European Patent Office and it consisted of participants putting themselves in the role of an interdisciplinary team of inventors and founders of a start-up. This team had to develop ideas about a public transport system/service that would make transportation easier for people that are visually impaired. The solution had to cover the full travel from A to B and it should be safe and balance costs and travel time. Besides from that, the teams needed to find existing technical solutions on Espacenet and know what does it take to use the technology that they find. Participants found EPO’s task useful for their future since they now know how to search for patents and how they can use them. To see the presentations of the solutions provided by the students for the Case Study and Team Design, go to our youtube page @BESTorganisation. “I think all of them are winners because they built something and it works!” said Marie Chaloupková, Chief of Engineering at Y Soft be3D, impressed with the concept of the event. When asked what they think about the partnership with EBEC Final she said “For us is a chance to see the printers in a real environment…”, “We now know how the kids will actually be modeling and how they will be using them.”. Y Soft supplied 3D printers for the participants to use freely and be able to do even better models by printing certain pieces that they design. The team design topic for the last two days of the competition was provided by Valeo. 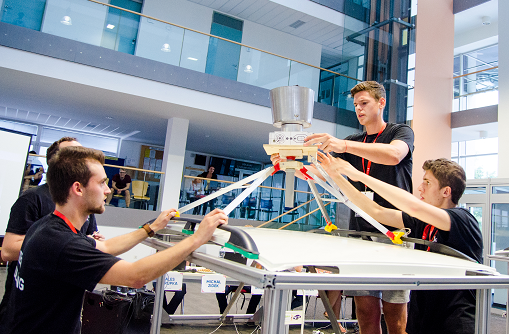 Participants will have to design a roof rack mount that will be easily mountable by a car passenger and is robust enough to withstand the maximum acceleration of a modern car. The rack will hold the Velodyne LiDAR which is a laser sensor that emits laser rays and receives reflections from objects, such as buildings, other cars, etc. The case study task was powered by Honeywell which consists of being able to understand basics of the heating system design and methods used in Machine Learning or Data Analysis to come up with a solution that is using the data from the sensors. Students liked to create a new heating system to be installed in smart homes in order for the future air conditioning system to be more efficient. To see the presentations of the solutions provided by the students for the case study, go to our youtube page @BESTorganisation. The adventure continues in Brno for the second day of the competition! Case Study created the idea of a smart home and Team Design built a box transporting vehicle. Team Design teams got the chance to show what they are worth on the presentations of their task solutions. Each team had two minutes to present their solution and four to make the created vehicle lift three boxes and move them through an obstacle course. 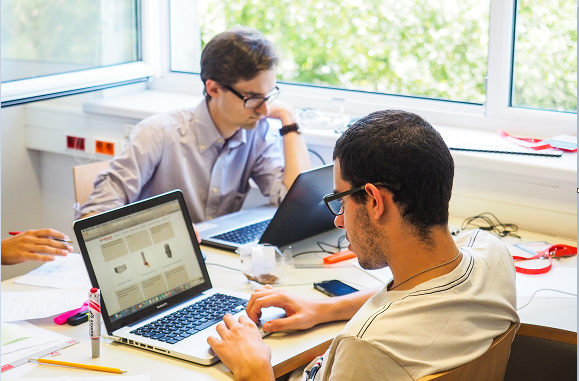 In order to make the task, participants have an EBEC shop and access to 3D printing. All of this provided by Alfun, Isover and Ysoft. When asked what they learned from the task, team Design Boys said “The most important thing that we learned in this challenge was time management. We need to manage our time more efficiently.”. The team was positive, showing their good team spirit! As for case study, a two-part task was presented by Eaton. 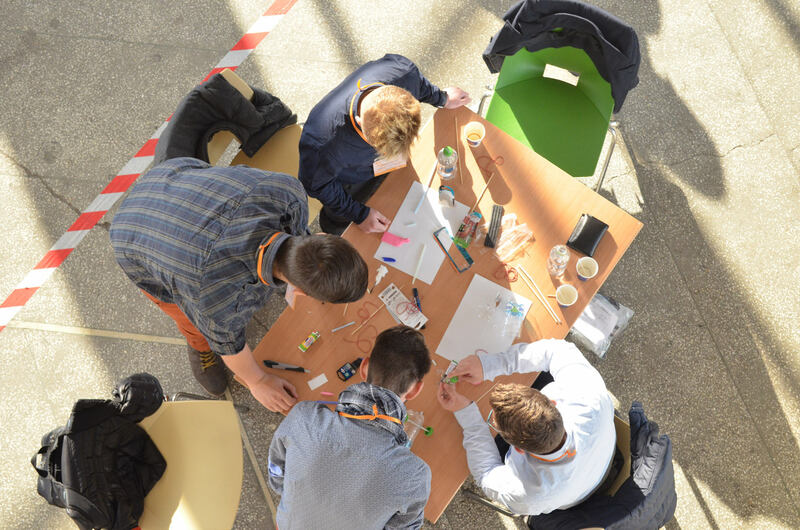 In the first part, participants needed to design a smart home based on smartgrids. While the second part had two options, either considering problems of the efficiency of power transmission or identifying energy aggregators for maintaining the grid frequency. The presentations were made at the end of the day leaving the jury impressed with their ideas. To see the presentations of the teams, go to youtube @BESTorganisation. The competition for the European Champions of Technology has started! 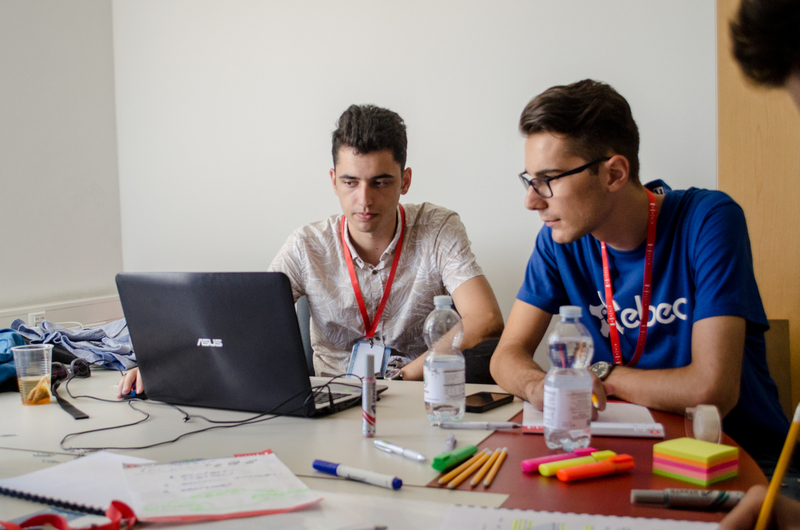 Yesterday was the official first day of the competition, where 120 students gave their best to find solutions for the tasks proposed by the companies. The case study task was proposed by the city of Brno. It consisted of creating a plan of a sensoric laboratory in the Brno Exhibition Hall. The laboratory would serve to collect different types of data in order to understand the problems of the city and to improve it by making it smart. In the end of the day, the participants’ ideas were presented in front of a jury. The reactions of the participants were positive even with such a time-wise challenging task, saying “…it was very clear what we had to do…” and “…we managed to do it and are satisfied with the results.”. Skoda proposed the team design task that will have a duration of two days. The proposed task was to create a vehicle capable of lifting 3 boxes from a shelf, moving them through an obstacle course and storing them in another shelf at the end of the course. Today there will be the presentations of solutions that the students came up with. To see more about the competition, watch the live stream on youtube @BESTorganisation. The final round of EBEC is officially open! The winners of the regional rounds started the day with a tour of the competition place in order for them to know their working rounds and are prepared for the following competition days. “We are very proud to host the final round of EBEC”, said Jaroslav Kacer, the Deputy Mayor of the Statutory City of Brno at the ceremony held at Brno Exhibition Centre. The ceremony also counted with welcoming speeches from Elias Solana, EBEC 2017 Coordinator, Samuel Lesko, President of BEST Brno, and Daniel Kovac, EBEC 2017 Main Organizer. With heart warming speeches thanking everyone for their hard work to make this event possible, participants felt the inspiring environment of BEST, Brno and the university. “The collaboration and fraternity spirit (…) takes the best example in the organization of EBEC. People born up to 6000 km away from each other, work together in the same direction” said Elias Solana. Samuel Lesko also complimented the organization saying “I truly stand behind the vision of this organization and I believe BEST is making the world a better place”. Following Samuel’s speech, the Main Organizer, Daniel Kovac, showed a video of the preparations for the event and invited all of the organizers on stage for a big round of applause. Marketa Lorinczy presenting JIC Starcube. Brightening the ceremony, Anezka Knapkova, a choreographer/dancer champion of tap dance in Czech Republic and the second runner up at the World Championship, charmed the audience with a flowing, astonishing and powerful dance. Following the performance, there were presentations by Marketa Lorinczy from JIC Starcube, a startup incubator with several programs for every entrepreneur who is looking to develop a startup, and Peter Nemec from the Brno University of Technology, showing the growing institution and all of the opportunities that it has to offer. After the ceremony, students were invited to take a tour of the Exhibition Center and watch a presentation on 3D printing technology, that will be used in the competition, by Jaroslav List, a participant of last year’s final round of EBEC. A buffet followed, providing a great chance for the attendees to interact with each other and exchange their views on the competition. Celebrate with us the beginning of this final round and watch the ceremony on youtube @BESTorganisation. EBEC final is about to start! The adventure begins today in Brno with the arrival of the regional rounds winning teams. For the following days, the teams will have the opportunity to develop themselves by surpassing several challenges proposed by the task partners. These challenges are in two categories: Case Study, analysis and presentation of a theoretical solution; Team Design, design and construction of a prototype model. For Case Study, there are 4 task partners: Brno, EPO, Eaton and Honeywell. Brno is the second-largest city in Czech Republic with more than 86,000 students and 14 universities with a developing centre of industry, science, information technology and research; EPO, European Patent Office, has a core activity to search and examine patent applications working in close cooperation with patent offices and countries around the works; Eaton is the solver of the toughest power management challenges on the planet and Honeywell, a company that produces a variety of commercial and consumer products, engineering services and aerospace systems. EBEC 2017 Case Study promises to have one of the most interesting challenges yet! As for Team Design, the task partners are Skoda and Valeo. Both of the companies are in the automobile industry: Skoda is the biggest Czech company by revenue, the biggest Czech exporter and one of the biggest Czech employers. Valeo develops and produces parts for smart and environmentally friendly cars. By systematically investing into R&D, they are improving the cars in order to make them easily driven. Do not miss the chance to get a glimpse of the challenges and the interesting solutions that the teams will come up with! Feel a unique atmosphere and watch the future being designed today! Tune into our livestream on youtube at @BESTorganisation.